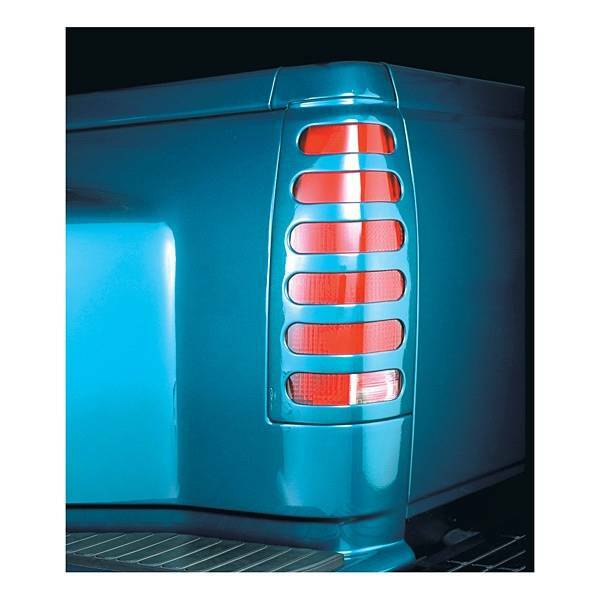 V-Tech's "Originals" slotted taillight covers offer a sleek look that made V-Tech famous. These covers feature symmetrical openings that compliment the vehicles lines. They come black but are easy to paint if you desire that mono-chrome look. Quality V-Tech has a commitment to fit and quality that is not matched by any other taillight cover manufacturer. All our parts are vacuum formed and not injection molded. The benefits we gain from vacuum forming result in the best possible fit. By forming a solid sheet of plastic over a mold we are able to maintain a smooth surface that is very paintable. This process also enables us to use thinner plastic and achieve a smooth rolled edge for a much flusher fit. All V-Tech parts install with 3M's best tape. All V-Tech covers mount in seconds with 3M OEM tape or 3M Dual Lock. Ships unpainted unless otherwise noted. All V-Tech parts paint very easily. Surface should be scuffed with scotch brite pad or 600 grain sand paper. Parts do not require flex additive due to rigidity of plastic and stiffness of surface to which it is applied.